Even though most change programmes are carefully planned, often with the help of experienced consultants, between 70% and 90% of them fail to achieve the desired results. Because sustainable strategic change needs other forms of leadership than conventional management. The greatest challenge for leaders in any change is in striking the right balance between clear direction and inviting active participation. LSI provides opportunities to find this balance in interaction, by inviting self-management and personal responsibility for action during and after the LSI-process. 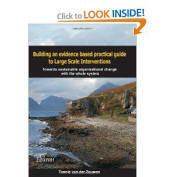 Building an evidence based practical guide to Large Scale Interventions. Towards sustainable organisational change with the whole system. by Tonnie van der Zouwen.